What makes his age in a man? Not the face or even the hair, but the skin of the hands! Windy winter is an ordeal for delicate skin of hands. Protect it from the adverse effects of extreme cold and temperature extremes in order to avoid peeling, redness and microcracks. The month of December is the most magical, it is in this month that the cherished dreams are fulfilled, meetings with the closest people are becoming more frequent, and the streets of the city become similar to the fairy tale embodied. For a child, water plays a big role. He drinks more than an adult, of course, in terms of unit of body weight. Cream-balm, the main active ingredient of which is shungite, can be made at home by adding useful oils to shungite paste: mummy, cedar oil, wheat germ oil, oil extracts of aloe, ginseng, St. John's wort, etc., etc. Acne (acne, acne) is the most common cause of complexes in terms of appearance in adolescents, which does not allow some adults to live in peace. The causes of the disease can be hidden inside the body or lie on the surface in the literal sense of the word. 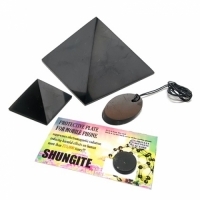 In most cases, in medical practice, shungite is used as an additional tool in the complex treatment of diseases. 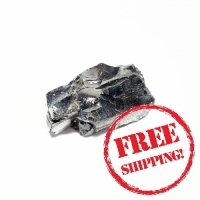 The fundamental property of schungite used in medicine is the unique ability to absorb harmful substances and give the useful, necessary for the body at this very moment. Headaches - verdict or challenge? Headache, be it spontaneous, growing, sharp, aching, throbbing or pressing, occurs in the life of any person, but without a reason it happens quite rarely. Almost always, she warns of a crash in the body or its susceptibility to harmful factors. On the eve of winter, many people with trepidation expect the first snow, beautiful snow landscapes and, of course, the upcoming holidays. But the less time remains until the end of the year, the more worries appear, both at work and at home. The best gift - a gift made by hand? Gifts are always a pleasure not only to receive, but also to give. A gift made with your own hands carries a piece of your energy, love and care. To receive such a gift is doubly pleasant. We have prepared for you several options for homemade gifts that are easy to make yourself! A rock garden is a hill made of stones and plants in a certain place on a garden plot. The composition got its name from the Alps. They inspired landscape designers to create objects in artificial conditions. The sphere is the most economical form, respectively, it has the smallest surface. The variety of ball forms is found in nature: raindrops, berries, fruits, fish eggs, eggs, molecules, atoms, planets, etc. The form of the ball are also huge clots of incandescent matter. With the onset of cold weather, the human body requires more warmth and care. It is very susceptible to the effects of seasonal viruses, quickly overcooling and getting sick. 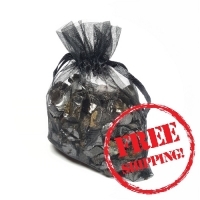 Recently it has become fashionable to visit schungite rooms. This is a room where the floor, walls and ceiling are fully lined with schungite tiles. One session lasts about 30-40 minutes. A person is not allowed to use mobile gadgets, he is left alone with himself, listening to soothing, pleasant music. The drinking regime is commonly understood as a rational order of water consumption. Proper drinking regime provides a normal water-salt balance and creates favorable conditions for the life of the body. Tsar Peter I visited the resort four times - in 1719, 1720, 1722 and 1724. Especially for Peter, two oak lathes were installed in the palace, on which he carved a table, chairs, an armchair, candlesticks and other objects. During the life of the emperor, the source gained wide fame. Looking for the best way to please yourself and loved ones? Give decoration, but not ordinary, but shungit. 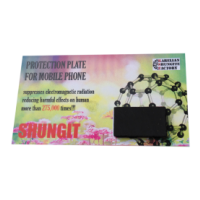 It is one that has a number of unique qualities: from protection from electromagnetic radiation to magical properties! • the structure of the rocks themselves. The stove or fireplace in the house creates warmth and comfort. How nice to sit by a warm spring, listen to the crackle of firewood and drink delicious tea surrounded by loved ones.